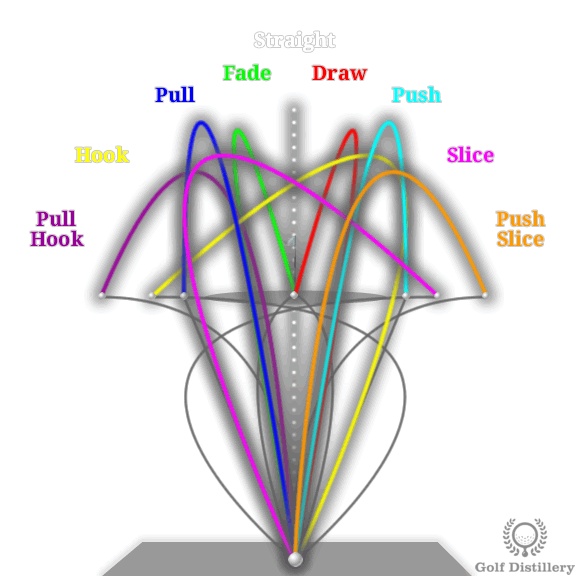 The ball flight diagram below covers 9 different shot shapes and the names we give them. A slice is golf ball that starts to the left of target and finishes to the right of target. 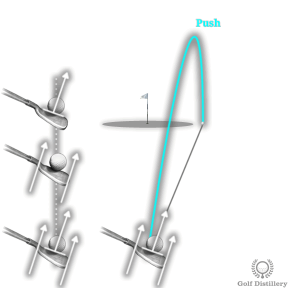 If, as the ball flight diagram below shows, the golf ball starts right and then curves further right we call it a ‘push-slice’. This isn’t just semantics or a case of golf professionals being overly fussy. 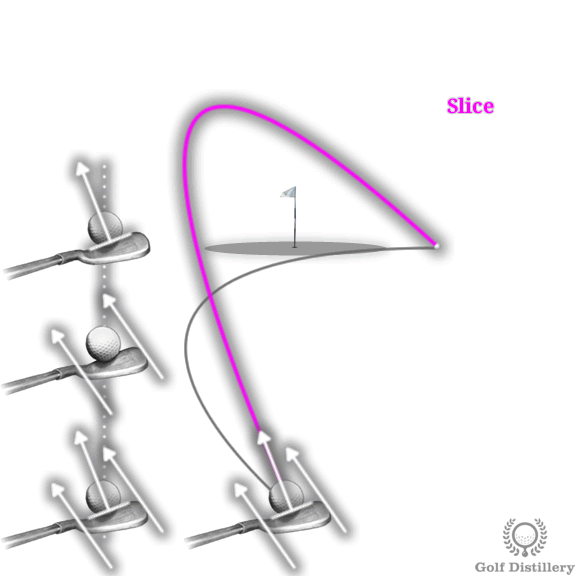 What I might recommend to fix a slice could actual make a push-slicer’s problem worse and vice versa. Click here for the ball flight laws article. Definition Ball starts left of target and curves further left of target. What It Tells You Club face is closed at impact (pointing left relative to swing path). 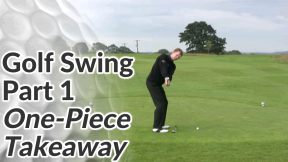 Your swing path may also be out-to-in but may also be straight or even in-to-out. 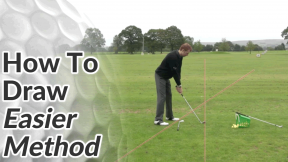 Look at where your divots are pointing to determine your swing path. 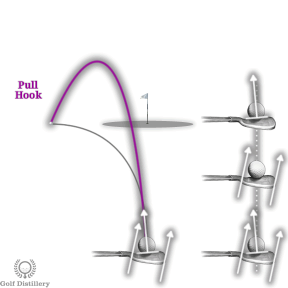 Definition Ball starts right of target and curves back left to finish left of target. What It Tells You Swing path is in-to-out (not necessarily a bad thing) and the club face is closed at impact (pointing left relative to swing path). Definition Ball starts and finishes left of target but stays straight in its flight (no curve). 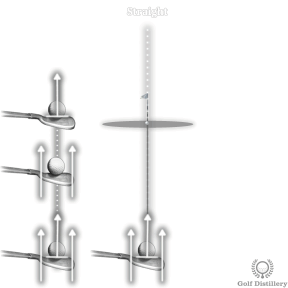 What It Tells You Swing path is out-to-in and the club face is square to the swing path. 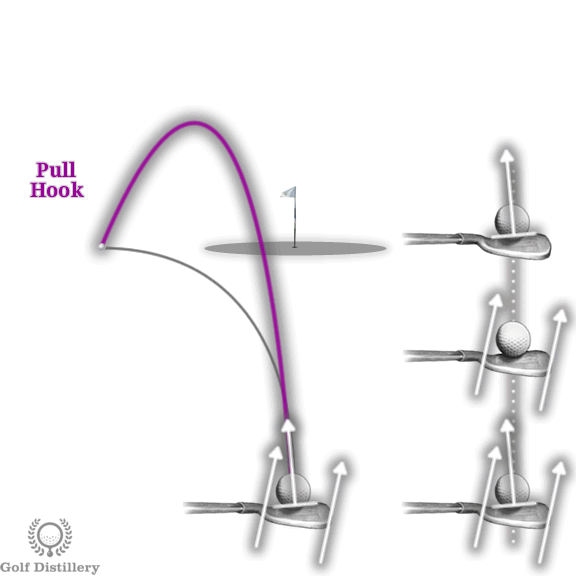 Definition Ball starts left of target and curves back right to finish on target. What It Tells You As with a slice, the swing path is out-to-in and the club face is open at impact (pointing right relative to swing path). 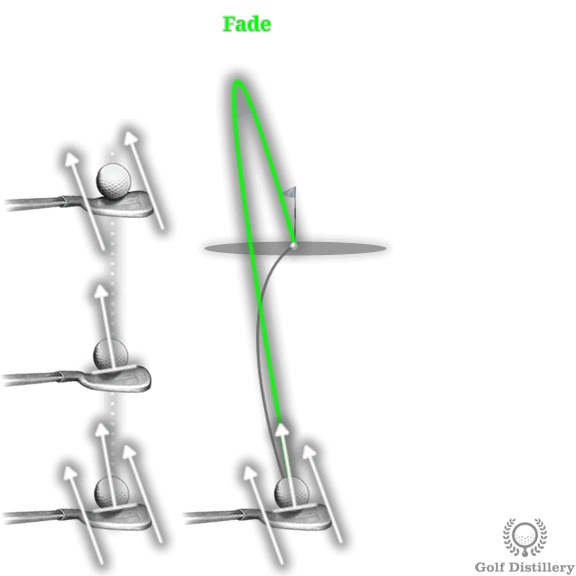 However, unlike a slice the ball must finish on the target line (not right of it) to be classed as a fade. Definition Ball starts straight and stays straight in its flight to finish on target. What It Tells You Your swing path is straight down the target line and your club face is square to the swing path (and target line in this case). 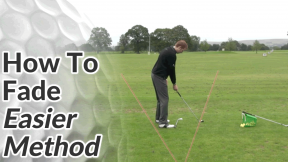 Definition Ball starts right of target and curves back left to finish on target. What It Tells You As with a hook, the swing path is in-to-out and the club face is closed at impact (pointing left relative to swing path). 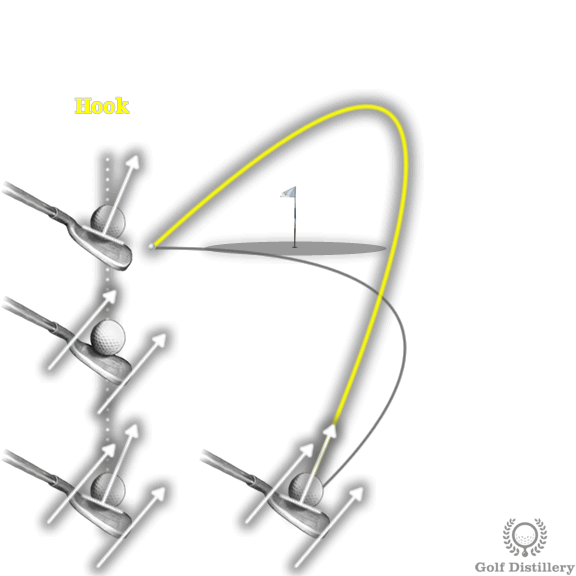 However, unlike a hook the ball must finish on the target line (not left of it) to be classed as a draw. 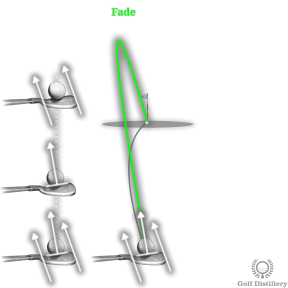 What It Tells You Swing path is in-to-out and the club face is square to the swing path. 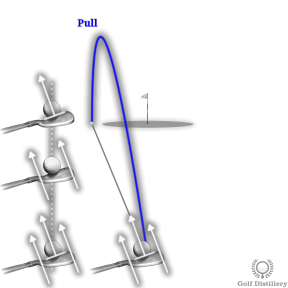 Definition Ball starts left of target and curves back right to finish right of target. 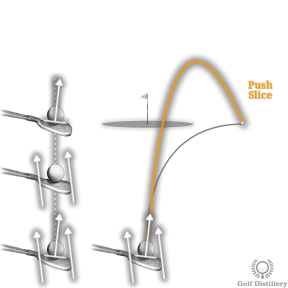 What It Tells You Swing path is out-to-in and the club face is open at impact (pointing right relative to swing path). 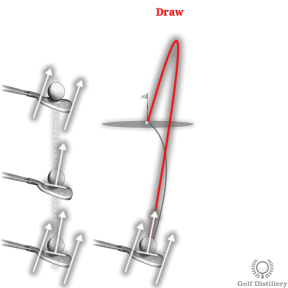 Definition Ball starts right of target and curves further right of target. 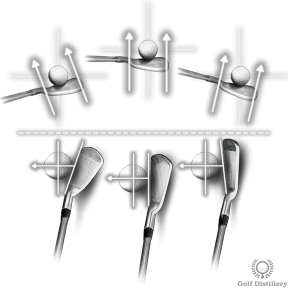 What It Tells You Club face is open at impact (pointing right relative to swing path). Your swing path may also be in-to-out but may also be straight or even out-to-in. 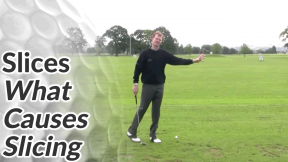 Look at where your divots are pointing to determine your swing path.